It’s time to dust off the proton packs as Juno director, Jason Reitman, the son of iconic film director Ivan Reitman, has revealed he is working on the long awaited Ghostbusters 3 with a short teaser trailer from Entertainment Weekly. Ghostbusters 3 is said to be set in the same universe as the original films from 1984 and 1989 and will have no relation to the poorly received 2016 reboot. Little is known about casting or when the movie is actually set, with some theories speculating the story may follow a grown up Oscar. 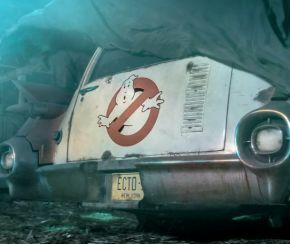 The short promo doesn’t reveal much other than the return of the original Ecto-1, hidden away in a wooden shed, the sound of someone powering up a proton pack, and an idea for the film’s release date. The script was written in secret by Reitman with Gil Kenan, who is famous for his directorial work on family friendly horror movie Monster House and the remake of Poltergeist. With most of the story still under wraps, the only confirmed information is that the new team will feature four teenagers, two male and two female. We will undoubtedly find out much more when the film begins production in the next few months. It’s hard not to get a buzz from hearing the classic theme from the late Elmer Bernstein, with the logo appearing on screen. We can only hope it delivers.